Back in the days before everybody had a camera phone and filmed everything that ever happened so that it could be posted on the internet for everyone to see, finding film of Dexys involved something of a search for those of us who wanted to watch footage of our favourite group. It is now fairly safe to assume that pretty much any Dexys public appearance will be captured for posterity by somebody's smart phone and that any TV performance will be posted online within 5 minutes of broadcast! The original version of this page was created to try and piece together a comprehensive list of all Dexys video appearances known to exist at the time. Many of these rare performances (and numerous others) can now be found by visiting YouTube and other such sites and eventually the listings below will include links to pages featuring these video clips. 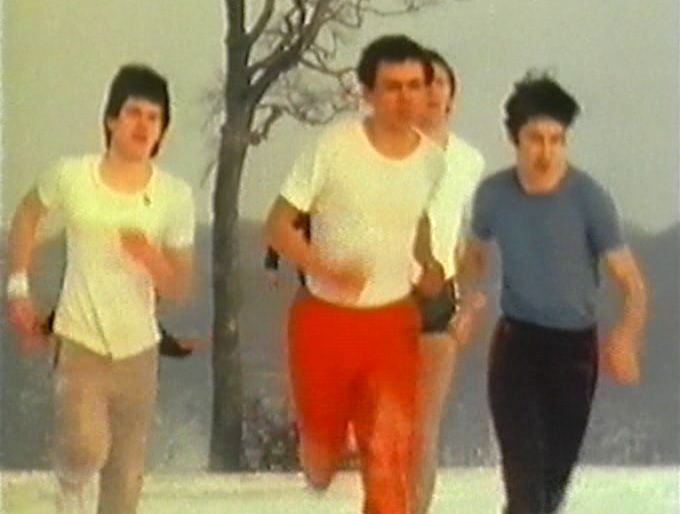 For now, though, here is a short montage of Projected Passion Revue-era Dexys video footage for your viewing pleasure! See also "Dexys DVD Discography" for details of official releases.